Aston Hotels & Resorts’ Summer Splash Special allows clients to choose from four Hawaiian Islands; Lake Las Vegas, Nev.; or South Lake Tahoe, Calif. Aston has a multitude of options with Summer Splash rates are available for travel from June 14 through Sept. 30. On Hawaii, the starting nightly rates range from $79 per night to $665. In California and Nevada, the rates range from $95 to $149. 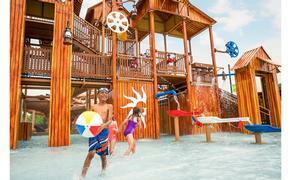 Aston’s Summer Splash Special may not be combined with other programs, specials or discounts. Prices do not include tax or fees and are subject to change without notice. Travel period dates may vary by property. Black-out dates and additional restrictions may apply. Rates are subject to availability.